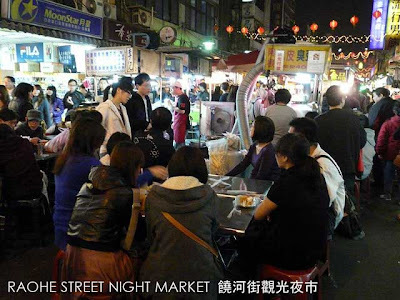 Taipei has several popular night markets. In fact, visiting night markets is a popular pasttime, a subculture even, in Taiwan. 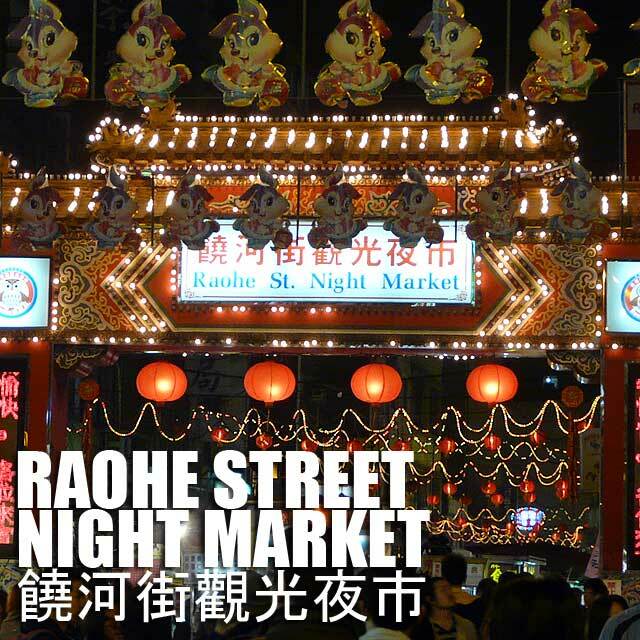 For our first night, we visited the Raohe Street Night Market 饒河街觀光夜市, one of the oldest night markets. 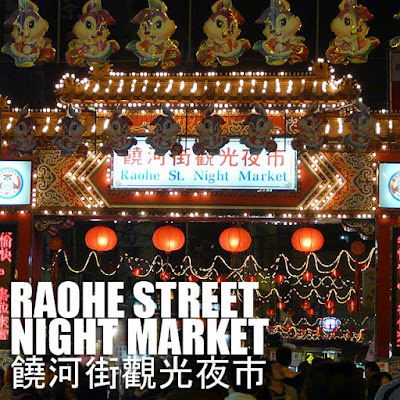 The market is located on a 600-meter stretch of Raohe Street, in Taipei's Songshan District. At the entrance I noticed an unusual stress treatment where you get hit constantly on the head, neck, back and arms by a bundle of plastic sticks. I tried it out since I was quite tired. And it felt quite good. 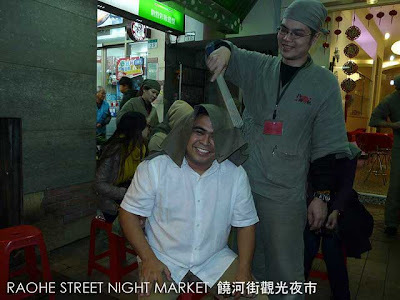 There are also a lot of foot massage services inside the market to relieve your tired feet after hours of shopping. But more than the shopping, it's the street food which makes the night market very exciting. 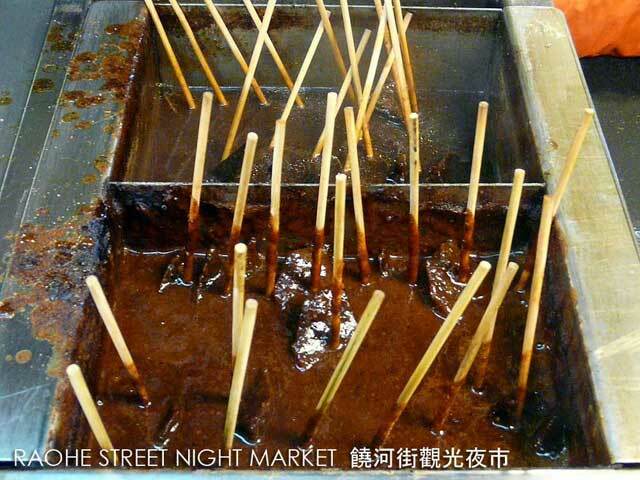 What I like about Asia is the hawker culture where every stall or restaurant has its own specialty. Our guide was adamant to let me try out her favorite snack, dried pigs blood dipped in peanuts and what seemed to be chopped kinchay. It was quite chewy and not bad for a snack. 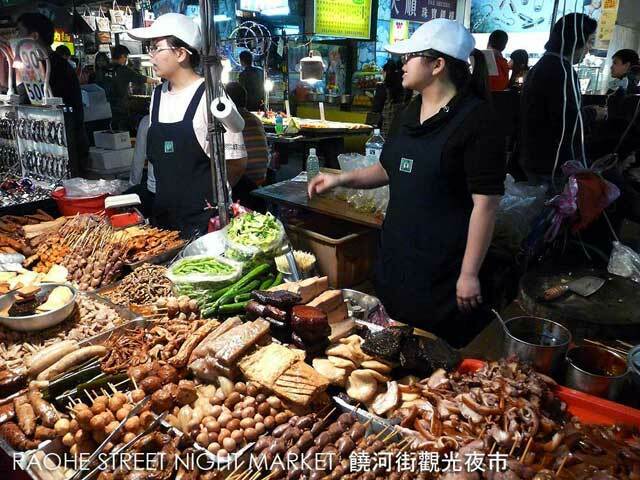 I tried out different kinds of street food from local sausages to baked pepper buns. If only we weren't full from dinner, I would have wanted to try a lot more. But our time was limited and we had to rush back to the Howard Plaza Hotel. We were leaving quite early to visit more of Taipei's sights. More photos of day 1 in Ivan About Town FB page.